Spending the majority of the past year back in Australia I was surprised by the degree to which “face-to-face” customer service “brick and mortar” retail is disappearing. More and more the trend is towards “serve yourself“ and whilst this has been true for some time in product selection I was not prepared for the latest move which is 100% self-service payment at the POS. 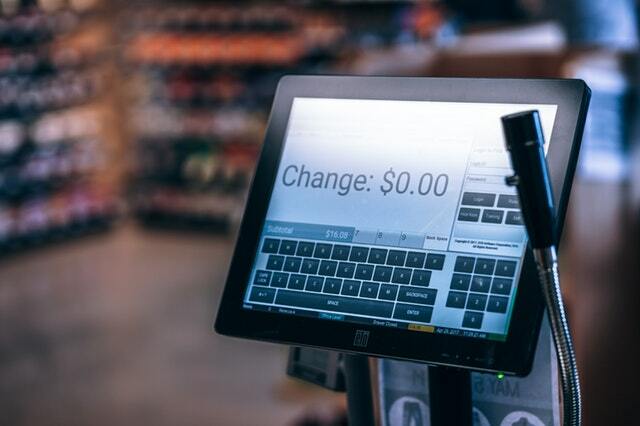 The growth in and use of technology in retail produced the entirely new retail format of “pick & click” allowing customers to purchase products on the internet through Apps on hand held devices. This style of retail format eliminated the “face-to-face” relationship with customers. Deemed as convenient and cost-saving, this move hits home to two of the most important elements in our lives: time and money. Banking – upon entering my bank I was confronted with a row of ATMs where almost every transaction previously managed across the service counter are now possible thru an ATM. In my bank where I was accustomed to being met by many smiling faces of those behind the counter have now only two—yes—two human service tellers. Almost all transactions were being managed through the row of ATMs. Airline – whilst already accustomed to making my flight bookings and checking-in on-line, I then discovered that I now have to complete the baggage check-in as a “self-service” activity thru and ATM. I enter my booking reference into the machine and then proceed to respond to a number of screen prompts and upon the completion the luggage labels, (and a print of the boarding pass if required), are delivered out of the ATM. I attach the luggage labels to my bag and then take my bag to the luggage loading belt where my bag disappears along the conveyor belt as the baggage receipt is issued from the ATM. Supermarket – the visit to the supermarket now allows for the customer to enter “do-it-yourself” POS registers to scan and bag their goods and complete the financial transaction. From observation, it appears the number of full service POS registers are decreasing as the number of “DIY” registers are increasing. The only human in sight is the uniformed assistant nearby to show new customers how to serve themselves and/or to resolve any problems experienced. This I presume is a human interface that will inevitably disappear as full DIY transaction becomes the everyday way of life. Mass Merchant Department Stores (example: Target, Big W and K-Mart) – Just as with the supermarkets, now operate with clusters of DIY POS registers. The customer scans, bags and completes payment directly on the POS. A nearby staff demonstrates how to use the POS and takes care of any problems experienced. Restaurants (fast food) – upon entering McDonald’s, customers are confronted with interactive screens where they can browse the menu, enter their meal choices and pay for order. When done, the customer will receive a receipt with a pick up number which will be called when their order is ready. This self-serve facility sits comfortably with the aim to process orders rapidly, but of course if the customer is processing their own orders it’s difficult for that customer to complain about the service speed. Restaurant (sit down dining) – a mall restaurant presented as an upper level dining experience is using iPads at the table for diners to browse the menu and place their order. Once the diner is satisfied with the menu selection, he presses send button to transmit the order to the kitchen. Without interaction with the waitress/waiter there is no opportunity to ask on the specialty of the house or to seek recommendations prior to placing the order. High quality iPads with high quality software are seen as the application of technology to enhance the dining experience. The “real” driver of the move to customer “self-serve”. In Australia, labour is a significant contributor to the operational cost of retailers, so it is hard to avoid the obvious conclusion that this is all about finding another avenue to reduce costs. However, lowest shelf prices must still deliver maximum profit and reducing operational costs definitely contributes to protecting profits. So back to the opening question: who wins: the Customer or the Retailer? If the retailer manages the potential downside issues of customers feeling they are depriving others of a job or that in serving themselves the prices should be advantageous given they are now performing some of the tasks previously covered by the retail staff, then it is possible in this world of increasing pressure on our time and money the outcome can be a “win – win” result. I can only presume that retailers in their quest for the most competitive shelf prices are already searching for the next initiative to reduce costs. Whilst what will that be is the BIG question. Darrel Wisbey is a chief mentor and retail adviser who has 30 years of retail experience and has built a reputation for being a leader who interprets the market accurately, define strategic direction and deliver success by motivating, developing and inspiring teams to achieve continual improvement. Learn more at: www.darrellwisbey retailadviser.com. *First published on Philippine Retailing newsletter 2018 Q1 issue.